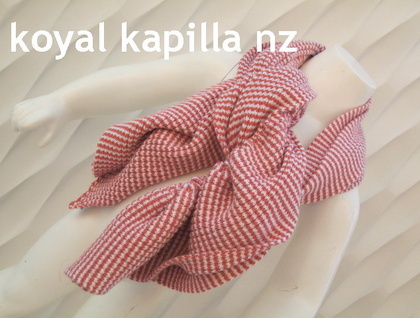 Introducing my new fun range of "frilled stripes" gathered scarve. Fun and very cool. This one is rather pretty in pink & white. Fun present for any little girl. Beautifully knitted with viscose stretch Italain yarn. SALE SALE for the month of June - $29 including freight - beat this !!! !